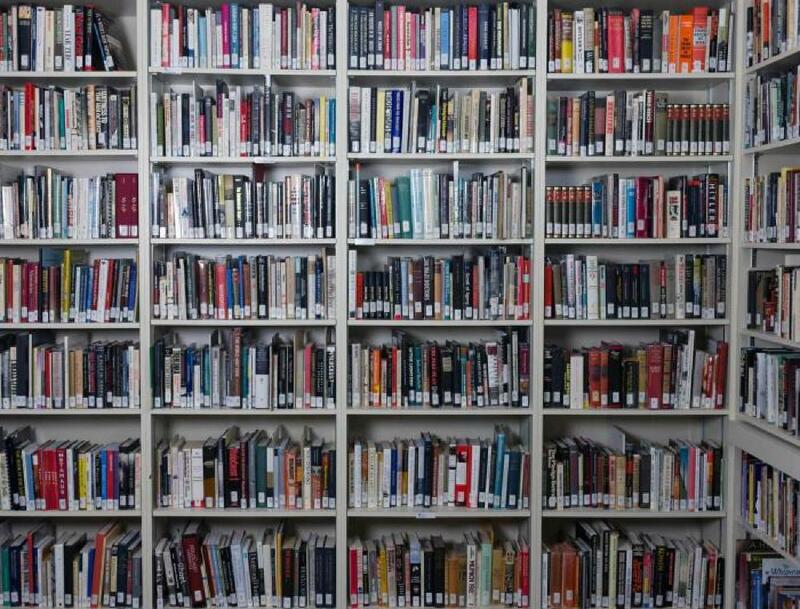 Over 4,000 Holocaust-related books, journals, and films are available for use in the VHEC Library collection, including reference material, educational resources, memoirs, fiction and non-fiction, material for children and young adults and a small multilingual collection. The Library’s reference collection includes Holocaust-related encyclopedias, handbooks, dictionaries, atlases, gazetteers, bibliographies, directories, indexes and some pictorial works that are limited to in-library use. These reference materials are designed to answer questions quickly and/or direct researchers to other sources that may fulfill the information need. The reference collection also houses some Holocaust denial literature and resources about Holocaust denial in the REF 940.531818 section. Publications from the early post-war period about the Holocaust, including early personal narratives. Rare Books & Special Collections was developed essentially through donations from VHEC members and Holocaust survivors and their families. Researchers are welcome to consult items in these collections by appointment. The Library’s multilingual collection includes Holocaust-related books for adults in languages other than English, and for children and young adults in languages other than English and French. The collection primarily includes books in German, French, Polish, Yiddish and Hebrew. Other languages are present, but not widely represented. The Library does not actively collect items for the multilingual collection. Most of the books in the multilingual collection were donated by VHEC members and by Holocaust survivors and their families prior to 2006. The Library collection contains resources about the Holocaust, genocide, antisemitism and the experiences of Jewish communities and other victims of the Nazi era. Users may encounter Holocaust denial literature and symbols, insignia and other graphic content pertaining to Nazism, racism and genocide that may be upsetting or triggering. Visitors are encouraged to be aware of their emotional and physical responses when viewing material in the collection. Please take time for reflection and breaks when needed. The Library is mainly a result of generous donations. Please visit Information for Donors for further details about contributing materials to the collection. The Library is accessible to the public for on-site browsing during the VHEC's open hours with the exception of Rare Books & Special Collections, which requires an appointment. During reference hours or by appointment, collections staff will be available to answer research questions and to help users navigate the VHEC's online catalogue. Please contact the librarian by phoning 604-264-0499 or emailing collections@vhec.org. For more information about borrowing materials from the VHEC Library see Using the Library.